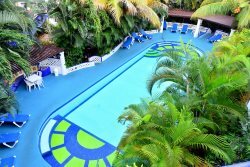 Natz Ti Ha (Mayan for "Near the water") is located in the popular Mayan Riviera tourist destination - Playa del Carmen. For a very special vacation condo E-301, Casa Buena Vista has it all! A beautiful 2 bedroom condo with partial ocean views, very comfortable and decorated in a contemporary style, just perfect for relaxing in paradise. 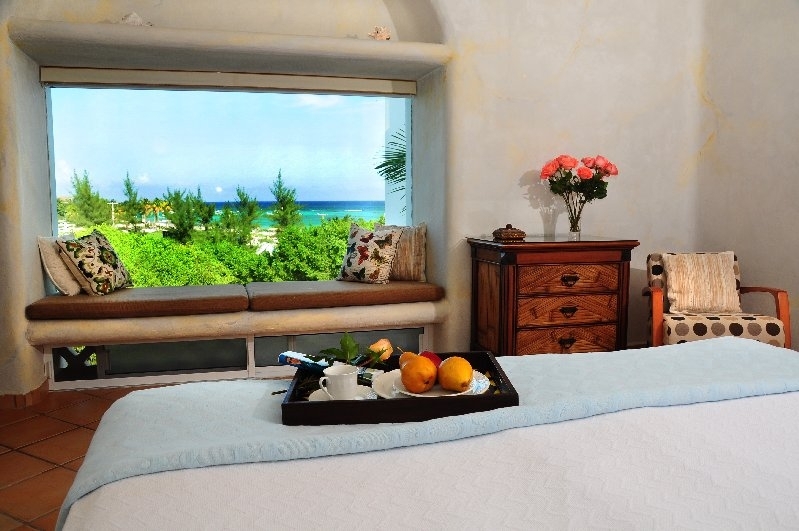 The master bedroom has king bed, walk in closet, window seat and the most magnificent ocean view! The guest bedroom has twin beds (can also be king), from here you walk out to the living room. The living room has a comfortable sofa and chairs, with satellite TV, DVD and VCR. The dining room has seating for 6 guests. The kitchen is fully equipped. From the open plan living and dining area you have partial open views and walk out to the terrace. Natz Ti Ha has lush tropical gardens surrounding the large swimming pool, with sun loungers so you can sit back and relax. Natz Zi Ha is just half a block away from the beautiful beach (with beach bars, water sports, dive stores) and conveniently located close to the famous 5th Avenue, with many restaurants, bars, clubs, boutiques, dive stores, tours and so much more!